Your website can be a powerful tool to generate leads for your business – if you use it correctly. Unfortunately, many businesses don’t optimize their websites to convert leads. The result: missed opportunities and missed sales. 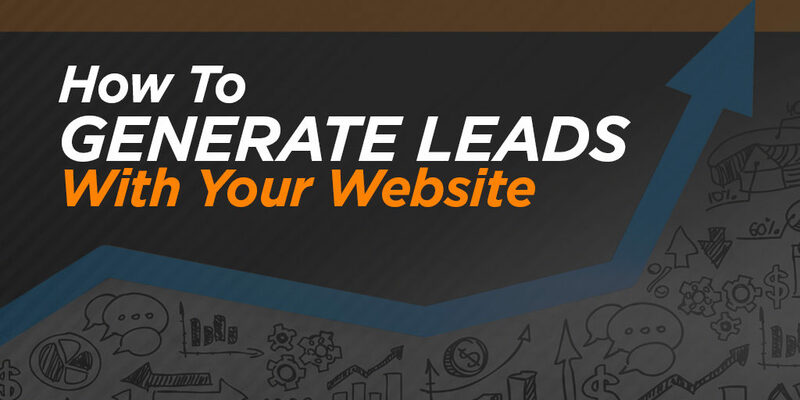 Here are a few ways to effectively generate leads with your website – and some pitfalls to avoid. Your web design deeply impacts how effective it is at generating leads. Visitors only take a fraction of a second to make their first judgments about your website design. Even worse, a bad user experience will quickly drive away potential prospects. A professional web developer will help you capture the essence of your brand and translate it into an attractive, compelling website. They will also ensure that the site is optimized to provide the best possible experience for your visitors. Be cautious too of the DIY route. These tools make it easy to build a website, but they don’t tell you anything how to optimize your website to convert leads. Cutting corners here can hurt your website in the long run. Look for the best web developer and designer who fits your budget, or you may find yourself facing a quick re-design. This is not a trend. Mobile devices aren’t going anywhere. In fact, mobile devices overtook desktop use years ago, and they’re only continuing to grow in popularity. Google now penalizes sites that are not mobile-friendly, meaning your website is less likely to show in search results. Bottom line: your site needs to be optimized for mobile, or you risk losing out on leads and business. This may seem like a no-brainer, but it’s amazing how many websites make it hard to contact them. Include a Contact Us page in your main navigation and consider displaying your phone number or other prominent contact information in your header. This goes beyond just phone number and address too. Many people now want to interact with businesses on social media, so make sure to add social sharing icons and “follow” buttons on your site. Ideally, they should be above the fold on your homepage and on the sidebars of blog posts. Hovering social share bars that move as a user scrolls up and down the page are great as a gentle reminder to please share. Always include sharing numbers, too, as people are more likely to share when they see that others are finding value and sharing. Live chat is also becoming increasingly common. By adding a live chat app to your website, you can engage with visitors who want immediate answers, or may still have questions and not be ready to fill out a normal contact form. Regardless of how leads come in from your website – form fills, chats, or phone calls – you want to track them. 3rd party tracking software provides often provides the best reporting and analytics, so you can see all of your leads and where they’re coming from. You can also set up Google Analytics to track conversions like form fills and link clicks. This will give you enormous insight into how your leads are navigating around your website and areas for improvement. 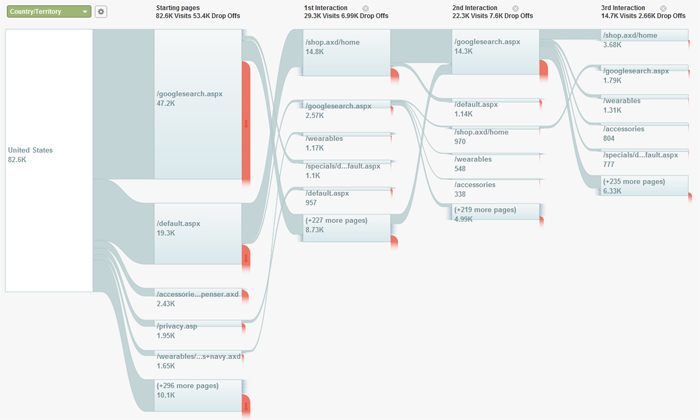 In Google Analytics, look through your Behavior Flow Report to see where users are dropping off your site. Then you can optimize those pages to include stronger copy, or a more compelling call to action. Keep testing different options until you find what produces the best conversion rate. Your website should always give visitors a next step to take – whether that’s downloading a useful resource, signing up for a newsletter, or filling out a contract form. 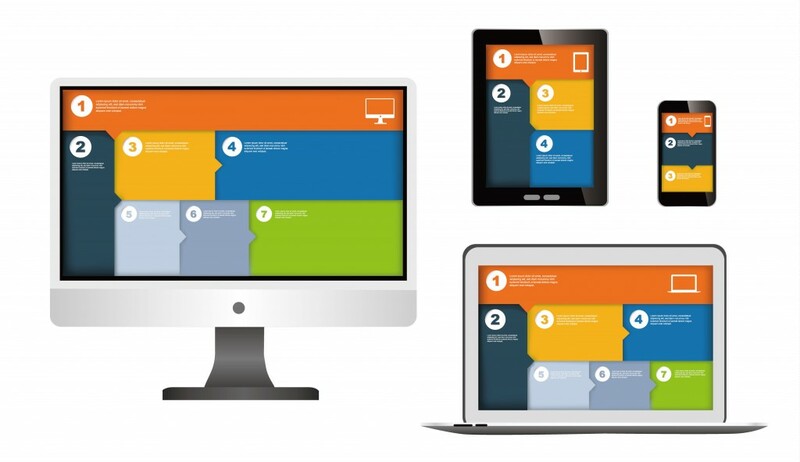 Use a variety of calls to action (CTAs) that are compelling, without being too salesy. Remember, not everyone is ready to buy the first time they visit your site. You will also get better conversions by placing the lead form above the fold on your site. 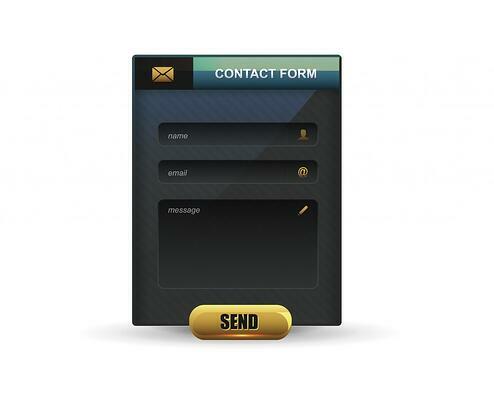 Not only do contact forms let you reach out to qualified leads, they also help you build your email marketing list. Then you can send your opted-in subscribers news on events, promotions, new products and services, as well as valuable, shareable content. Develop a sense of trust by showing users that you partner with well-known and respected businesses in your industry. Show off awards you’ve won too to add emphasis to your accomplishments. If you are partnered with Google, show it! If you got an award from the Inc 5000, put it in your logos. You can tell people how great you are all day, but most of them want proof to verify your claims. Testimonials and case studies are incredibly powerful tools to lend authority and credibility to your brand. Your happy customers can be your best salespeople to let others know how you can help and how great an experience they had with your products or services. Whenever possible, include concrete results like revenue, profit percentages, or leads generated. These statistics will resonate with other businesses who want to see those same results. Videos are becoming increasingly popular for businesses to reach customers and prospects in an engaging way. Social media is driven by video and visual content, and video sites are exploding in popularity. There’s a reason why YouTube is the 2nd largest search engine, behind Google. Businesses can leverage this trend, as people are constantly searching for product reviews, how to’s, and other business-related content in video format. Promote your videos through your email marketing and post them on YouTube, Facebook and other social channels to drive traffic and engagement. As we mentioned above, if it isn’t mobile friendly, it isn’t getting the leads you want. If it’s poorly designed or not optimized, it’s not going to work the way that it should. It’s not that you won’t get any leads if your website is outdated, it’s just that you’re missing out on getting more leads. Struggling with an outdated website? 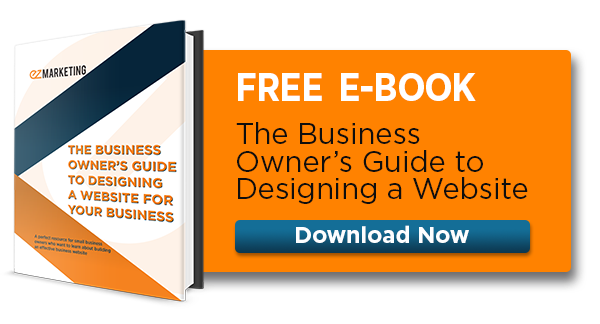 Check out our guide on how to create a great website for your business. Here’s the harsh truth: no one cares about your product or service. Or, at least, no one cares unless you give them a reason to. Make sure your website has compelling messaging that speaks to your target audience. Invest in a professional design that reflects your brand too – a custom website can go a long way here, versus a templated or DIY solution. Speaking of your target audience – make sure you know who you’re writing for. Who is your ideal client? Who will be visiting your website? What are their needs and pain points? Establish a buyer persona for your ideal customer. Write your website copy to speak to them. Find out what questions they’re asking and create or curate content that responds to their needs. This is where you get to show off your expertise in your industry. When people in your niche are searching for a specific solution and they find your answer to their question, it builds trust for your brand. If you prove yourself as helpful, people will absolutely remember you when they’re ready to purchase. 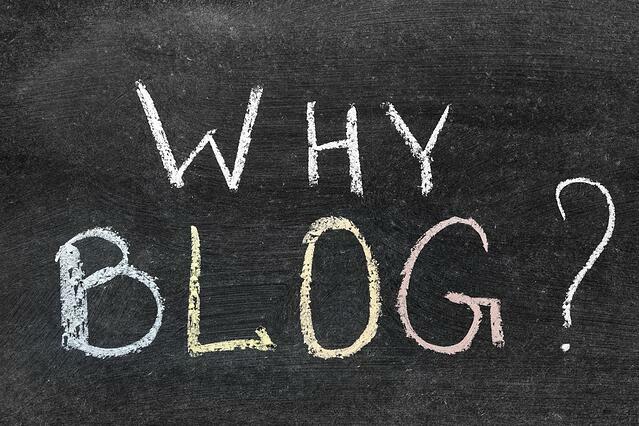 Blogging is important because Google loves fresh, original, and resourceful content. Content is actually one of Google’s top ranking factors. So when you’re constantly updating your site with new content that is being shared and mentioned, Google will notice that and reward you with better rankings for those topics. Blogging also offers you a chance to cover more keywords, industry issues, questions being asked, and gives you the opportunity to show off as an expert in your niche. Use relevant internal links in your blog posts to help direct users to other articles on your website too. “Company X produces the BEST products with SUPERIOR customer service at a PRICE YOU CAN’T BEAT! CALL US TODAY FOR A QUOTE! Sound familiar? We’ve all seen those websites that capitalize every other word and end every single sentence with an exclamation point. The ones stuffed with enough sales pitch copy to make any used car salesman proud. Your visitors are already on your website – don’t scare them away! Gently guide them through the sales funnel, rather than screaming “buy now!” Remember point #3 above: they don’t care about you. They care about what you can do for them. Make yourself useful to your clients and let your expertise and responsiveness to their needs do the selling. Your website isn’t just about, “build it and they will come.” You need to actively promote your website to bring in more traffic. If your traffic isn’t increasing, then why would your leads? There are a ton of ways that you can drive more traffic to your website, beyond paid advertising. Optimize your website for search or hire an SEO company to gain more organic traffic. Promote your content on relevant industry sites and social media platforms to earn more referral traffic. Fix your business directory listings so that local searchers can find your business. As we mentioned earlier, your website should always tell users what to do next. But what if those next steps aren’t clear or compelling? Maybe your CTAs are hidden among other text and visuals and don’t stand out. Maybe users aren’t sure what they should click on. Or maybe, they’re not sufficiently enticed by the offer to act. When designing your CTAs, use colors that stand out and bold text that makes visitors realize they should click (without using the words, “click here”). Place your CTAs above the fold, or near the top of the page, when possible. If you hide them bottom right corner of your website, people probably won’t see them. Finally, make sure you’re offering something valuable and relevant enough to convince someone it’s worth trading their contact information. Constantly split testing landing pages, CTAs, headlines, and more to see what works best. If you aren’t testing variations of your designs and messaging, then you are just guessing. Here’s a Facebook split test we ran for one of our clients to see whether a text headline would perform better than a clean photo. We actually discovered that the plain photo received 23% higher reach and 16% more clicks. Make sure you’re tracking your website and marketing campaigns to find out what variations offer the best return on investment. By following these applicable tips for your website, you should begin to see more traffic and leads. Keep in mind: continuously measure, split test and analyze your data for the best possible results.